I’m a big fan of little links. Internal links are the underrated workhorse of SEO, usability and conversions. They’re easy to make, easy to manage …and often overlooked. But not today. An internal link is a link from one page to another page on the same domain. We’re talking about regular, text links from one page on your website to another. Of course, your website navigation is an example of internal linking, but here we’re talking about links in the content, on the pages. An external link is a link from another site to your site. They’re important for referral traffic and SEO, but they’re on other websites. You can’t control them. Internal links are easy. You can make them in minutes. Note: external links also refer to links from your site to another site, but we’re talking about other sites linking back to you. Internal linking is important for three reasons, strengthening three parts of your funnel. So let’s look at a linking tip for each of the three types. If you’re just interested in the list of ten internal linking best practices, scroll down to the recommendations at the bottom. First, let’s review: authority flows through the internet through links. Tip: Why Don’t I Rank? The short video here explains how links affect SEO. Links that come from another websites pass “Domain Authority” increasing the authority (and likelihood of ranking) of all the pages on your website. Internal links don’t do that. They don’t increase the amount of authority of your overall website, but they do pass authority between pages on your website. They pass “Page Authority” from one page to another. Through links, pages can help each other rank in search engines. Here’s a quick overview of the difference between internal and external links for SEO. Some of your pages have more authority than others. These are pages that already have links pointing to them. Your home page is the best example. Links from these pages to other pages will pass more authority and SEO value. Some of your pages will benefit from authority more than others. These are pages that may be ranking, but not that high. Maybe they’re ranking high on page two, so a little bit more authority might go a long way. Links to these pages might help your rankings a lot. Linking from the first type of page to the second is easy, free and fast. And it may make a big difference in ranking and traffic. Here’s how to find both types. 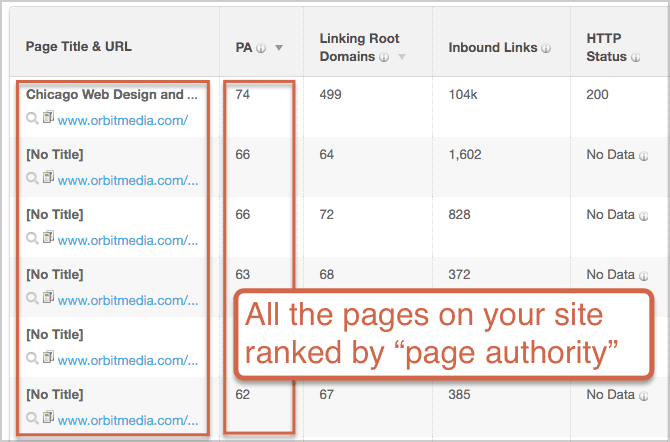 Which of your pages has the most authority? Use Moz’s Link Explorer to check. Just enter your domain and click on the “Top Pages” report. It will show you all of your pages, ranked in order of “Page Authority.” Links from pages with higher authority will pass the most authority and ranking potential. These are the pages you want to link from. Another place to look is in Google Search Console in the Search Traffic > Links to Your Site > Your most linked content report. This shows the pages that have the most external links and the most authority. Sort by “Source Domains.” Your homepage will likely be at the top, but scan down to interior pages. See any older blog posts? These are the pages from which you want to link. Tip: Google Search Console also has a report showing which of your pages already has the most internal links pointing to it. Go to Search Traffic > Internal Links, and take a look. Which of your pages is almost ranking high? Use Google Analytics to find the “low hanging fruit.” We’re going to do some SEO analysis and find the pages that are ranking right there in search results, but just past that page two tipping point. 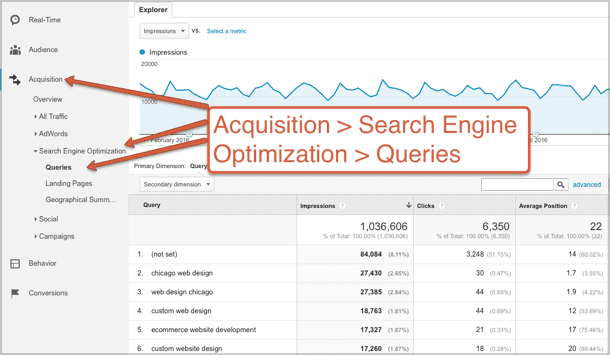 Go to the Acquisition > Search Engine Optimization > Queries report. Set the date range for three months (this report doesn’t include data older than 90 days). Create an advanced filter so you can see just the phrases for which you rank higher than 10 (as in, the “average position” is greater than ten, which generally means you’re ranking at the top of page two in Google). Here’s what that filter should look like. Sort by average position. There’s your list of phrases for which you almost rank high! Go to Google and search for each phrase to confirm the ranking and find the corresponding page. Don’t be surprised if some of the phrases are hard to find. If you have trouble finding a phrase from the queries report in your search results, just move on to the next one! ProTip! The tool SEMrush makes it even easier to get this data, but you may need a paid subscription (worth it!) Go to the Domain Analytics > Organic Research > Positions report and add an advanced filter, as above. Sort by position and you’ll see all of your page two rankings. Need help? How to Rank Higher In Google. There’s a short video here that explains this process. Hopefully, you find a few great pages ranking at the top of page two, ready for more credibility and more visibility. These are the pages you want to link to. Link from the first page to the second. Don’t force it. The link should be created with the reader in mind, not just rankings. This one simple link may be enough to push the rank up a bit for the page. If not, consider improving the page in other ways. Some pages attract a lot visitors. Usually, this is because they already rank high or they get shared a lot. They are your traffic champions. Other pages inspire a lot of visitors to take action. In content marketing, this is usually because they convert a high percentage of visitors into subscribers. They are your conversion champions. 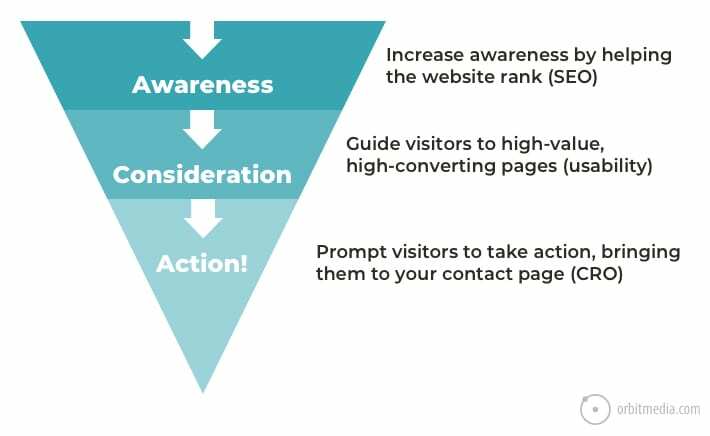 Linking your traffic champions to your conversion champions can have a dramatic impact on your marketing. One little link can help connect your best cheese to your best mouse traps. Here’s how to find your best cheese, your best mousetraps and connect them with an internal link. Which of your pages attract the most traffic? This is easy to check in Analytics. Just go to the Behavior > Site Content > All Pages report. Choose a nice long date range of three to six months. The report is sorted in order of the pages that had been viewed the most. Here’s your list of traffic champions. Caution: As you scan down the list, think about pages that had traffic spikes due to PR hits or email campaigns. Keep in mind that those events won’t repeat themselves. Which of your pages inspire the most action? This is also in Analytics, but it takes more work to get to the data. We are looking for the pages and posts that convert visitors at the highest rate. Here’s how to find the blog posts that get the maximum percentage of visitors to subscribe. 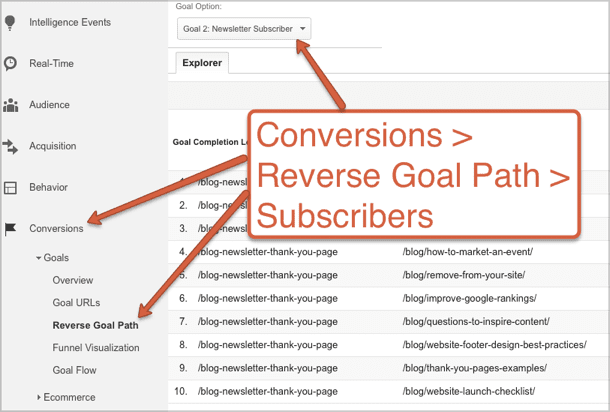 Go to the Conversions > Goals > Reverse Goal Path report. Create a spreadsheet with the list of pages from this report. In the left column list the pages. In the right column, list the total number of conversions (subscribers). If you have a lot of blog content, you may want to add at least 20 pages to this list. Go to the Behavior > Site Content > All Pages report. Find the pages from your spreadsheet here, and add a third column showing the pageviews for each page. Divide the conversions by the page views to view the conversion rate from visitor to subscribers for each page and sort by the pages with the highest conversion rates. Notice how some pages convert waaaay more visitors into subscribers than others. 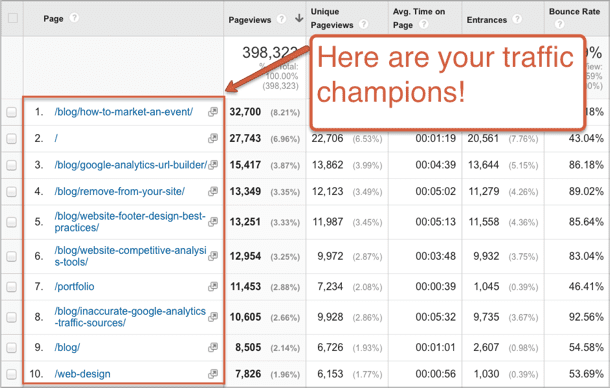 Here’s your list of conversion champions! Author’s Note: Apologies for these overly concise instructions. We’re thinking about making a video to explain this technique. Interested? Leave us a comment letting us know and we’ll make it a priority. Link from the traffic champions to the conversion champions. Somewhere in the text of the high-traffic pages, link to the high-converting pages. The more people click this link, the faster your email list will grow. So make it compelling. Your goal as a digital marketer is to attract visitors, present then with powerful marketing claims, support these claims with evidence and then gently guide them to take action. Internal links are a key way to prompt visitors to act. Look at the bottom of any of your marketing pages. What is the last line of text? Does is suggest the visitor take action? Does it start a conversation? Or does the page just end? 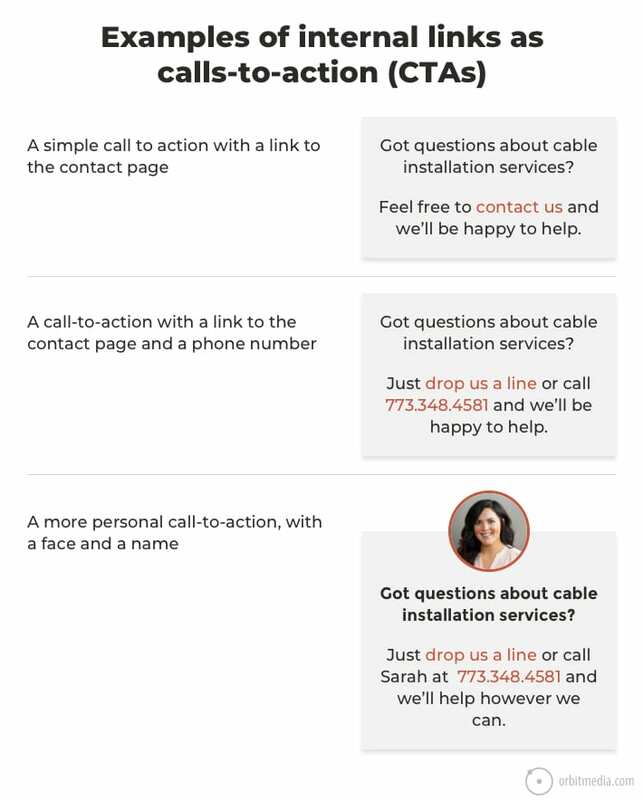 Here are some examples of internal links that you can put at the bottom of your marketing pages, that serve as calls-to-action. You can imagine this little internal link helps generate leads. Pro Tip! 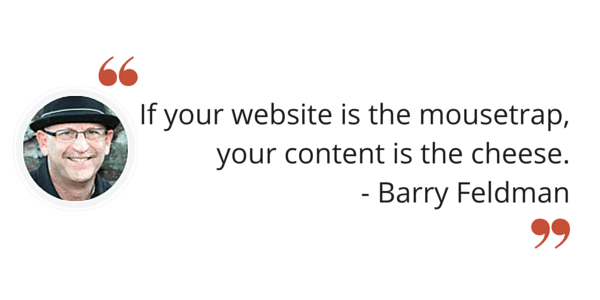 Make sure that no page on your website is a dead end. Find and remove every dead end on your website, and keep the visitors flowing. Here are ten best practices for internal linking. What do these links look like? How many do you add? And where do you add them? What should these links look like? 1. Make the anchor text within the links descriptive, using the target keyword of the page you’re linking to in the anchor text. When the link text includes the target keyphrase, it helps indicate the relevance of the page to Google. You may need to get creative to find ways to use longer phrases as links. Example: “Learning cable installation safety tips is always important.” Notice how the text within the link includes the target phrase of the page it’s linking to. 2. If you’re creating links to a page from several pages, use some variety in the linking text. 3. If you can’t find ways to use keywords within the body text, you can always add them as “Related Links” at the bottom of the page or post. 4. Even if you’re thinking about SEO, make every link with the visitors and the click in mind. How many links should I add? 5. The total number of links on any page, including the navigation, should never be more than 75-100. Anything beyond that is too much. Fewer links means more link juice will be passed through each of the links. Use a link juice calculator to quickly show you the number of links and buttons on any page. Caution: Large drop down menus can quickly increase the number of links on a page far beyond 100. This dilutes the SEO value passed from the page. Remember, each page has only a finite amount of authority it can pass, and that authority is divided by the number of links on the page. Use dropdown menus cautiously and always follow website navigation best practices. Where should I put these links? 6. Add links whenever it would be helpful to readers. If the pages don’t have related content, don’t link! 7. Link between pages and posts in the body of the article. The context of each link is important. Many SEOs believe that links within the body copy are weighted more heavily than links within the navigation. 8. Link from new to old and from old to new. Got a new post that relates to an older, high-value post or page? Add a link. Got an older post that’s still getting traffic from search engines or social sharing? Add a link. You’re not done publishing a new page until you’ve linked to it from older pages. 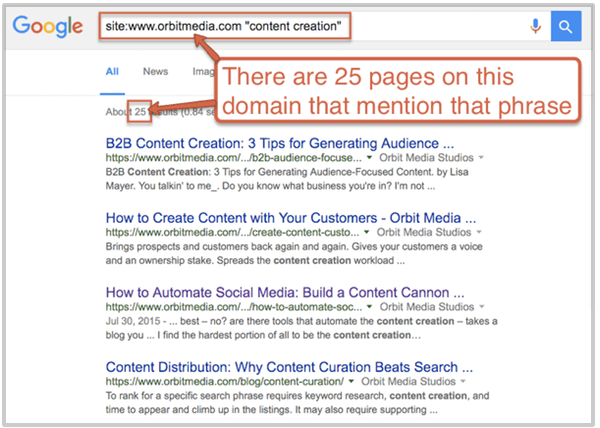 Tip: Use the Google search operator to search your own site for related pages: “site:www.yoursite.com [keyword].” This is a way to quickly see all the mentions of the target phrase on all the pages of your site. Each of these pages are candidates for internal linking. 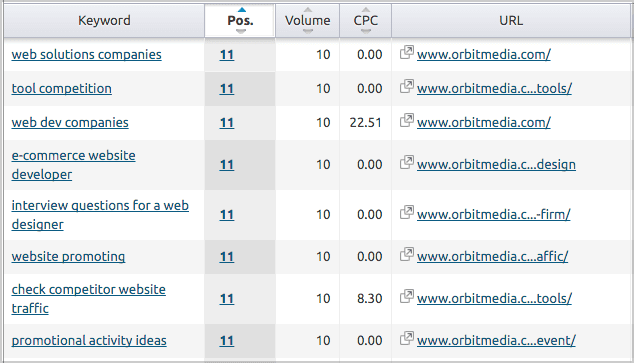 For example, if I wrote an article on this website about creating content, I can search Google for site:orbitmedia.com “content creation” to see every mention of that phrase on our site. Each of these instances of the phrase could be a link to the new page. 9. Link from pages with lots of link juice to pages that almost rank high, as described above. 10. Find broken links! Bad links are bad for SEO. Use a broken link checker to find these and fix them ASAP. Links usually break because the URL of a page was changed, so always be careful when changing the URL of any page. Better yet, avoid ever changing a URL unless you’re re-launching your website. If that’s the case, carefully follow each step of our 55-point website launch checklist. You have total control over your website, so internal links are the easiest links to manage. Just log into WordPress, Drupal or whatever CMS you use and add them. So take a look at your internal links, then move on. Don’t spend days thinking about these. Give your site a check-up a few times per year, then go back to the other activities that improve traffic and conversions! I appreciate the detailed steps. I find that often those of us who are in the online marketing world face the “Curse of Knowledge” (from Made To Stick by the Heath Brothers) and that puts a barrier between us and our potential customers. You do a fantastic job of breaking concepts down to their simplest form so everyone can understand it. I’m working on keeping things simple for explanations of content marketing and my video marketing so it’s accessible to all my potential clients. Thanks for leading the way. I didn’t knew about this, my friend recommended your website and I am glad I am here. Thank you for the information which use it for sure. @jsig000 Thank you, Jim! It’s great to hear from someone who appreciates the B Corp Certification. The values behind the B Corp movement matter. Your comment is very much appreciated! @nectafy Glad to hear it. Let us know if we can help. Let us know when those videos are published! Is it any difference between links attributed with rel=”follow” and without any rel attribute? Thanks for the question, Projekt! Its really gonna help me..i want to ask you one thing should i link my last page with the home page or vice versa?? Great post. It never ceases to amaze me at how substantial the learning curve is when trying to run your own site. I’ve just read through your post Andy as I am a little confused about internal links and their affect on SEO. Is it possible to have a negative impact on SEO by using over optimized keywords as anchor text for internal links? I have read a fair bit online about this and am I right in thinking that external links with over optimized anchor text can be detrimental also? This is a great question and I’m glad you asked. Yes, it’s possible to go overboard with “over-optimized anchor text” and some SEOs are beyond that point. But most people I talk to (and most readers of this blog) are nowhere near this point. A lot of sites I check on opensiteexplorer.org have few or no links with keywords! For the high ranking of your website, your expertise in internal linking matter a lot. There are some people who link other pages of their websites in bad way as a visitor don’t know which page of the website he is visiting. The internal links must be optimized with the respect of categories and pages then start off-page optimization campaign and create backlinks on other relevant websites to capture traffic. For those people who don’t know how many links they should add in their website your suggestion of link juice calculator is pretty good. Great post. It’s really helpful. If you update it you might want to flag the guest blogging mention for any new SEOs/content writers. Hi. Thanks. Very informative. Question: I am looking to better understand best practice for internal hyperlinks and struggling to find an answer. If you can help I would be very grateful. Should they be created with full url including root eg. http://www.mydomain.com/widget/small-yellow-widget/ or just use folder structure eg. /widget/small-yellow-widget/. In this age of canonicalisaion does it matter? Emma, I’m wondering the same thing. Have you discovered an answer yet? Also @Andy do you happen to have thoughts on using local links for internal linking? @Emma, I found this video: https://moz.com/blog/relative-vs-absolute-urls-whiteboard-friday… I hope this helps. This is very helpful to me, thank you for sharing this great idea, I am applying what I get here on my site, thank you again. Andy the discussion about internal linking that is very helpful for me; I would like to apply to my website, thanks for sharing it. Internal linking is important for the website ranking, if the website has the proper internal link to pages that will provide the benefit for the whole website pages. The internal linking are must be used with the relevant keyword. Hi. Thank you for creating such a great post. I try to follow the steps on Step 2: Find pages to link to and I figured it’s kinda outdated. Will there be an updated version of this step in your blog?? This is by far the best article I have read on the subject of internal links, thanks. Hi Andy! Great article. I was curious if you use a spreadsheet or template you to keep track of internal website links? Thanks Andy, Thanks for sharing this post. Broken links are harmful for website. Thanks for detailing information on this topic. Andy – great post. I read that Google is starting to frown a bit on anchor text being used in links, such as on Guest Blog posts on different websites. For example, I’ve heard that the anchor text shouldn’t just say “Orbit Media”, for example, it should say “Here’s a great article by Orbit Media.” Less a focus on just a specific keyword. Have you heard anything along those lines, and if it’s legit, does it apply to internal linking? Some internal linking plans recommend very difficult layers of pages, silos of content, and a mathematically-balanced method for number of links to levels of pages. I say it doesn’t actually matter. Internal linking doesn’t need clerical spreadsheets and trigonometric copied charts. Great information, Using correct anchor texts can build your internal links come into view fair in the eyes of Google. They will also assist the readers to recognize what the link opens up for them when they pursue it. Great! I refereed from Neil Patel to your website. and yes.. I must increase internal linking in website. Thank you! Thank you for this thorough article Andy. Very helpful. Thank you for sharing valuable information. I really enjoyed your stuff and would love to share it with my friends. 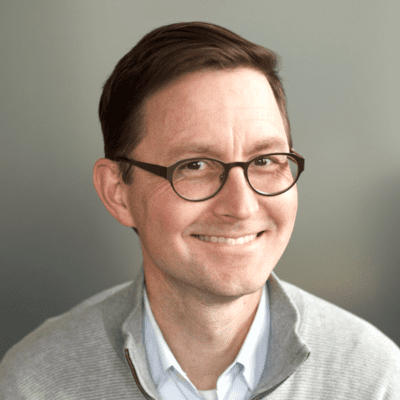 Wow, thanks Andy – this is without doubt the most comprehensive (and useful) post that I’ve seen on internal links. It’s just taken me a good half hour to read it all, but it was definitely worth it as I now have a clear action plan, including revisiting high traffic posts that don’t really lead anywhere. Thanks for that feedback, Geraldine! It means everything to us. Great article, your way of building ideas is stellar Andy. Another excellent blog post – thank you for sharing. I’m a little unclear as to what I can deduce from the tip: “Which of your pages has the most authority? – Step 3”. Bear in mind that I’ve a small service business and the figures in all of your examples look off the charts in comparison to my reports… I’m generally just staring at 1s and 2s. Great article I learned a lot. Would love to see videos detailing and demonstrating the techniques you are using. really glad I found your site. Hi Andy, great article! Just one question… in step 3 of internal link tactic #2 you say to list the pages from the reverse goal report. I guess you listed the pages from the “Goal Previous step 2” column, because this implies that the user signed up to the newsletter after reading this blog. However, if the goal is not a newsletter subscription it might be hard to find the actual landing page that inspired the user to act. I think it’s more of a first touch vs last touch kind of thing. I was thinking of using the landing page report, order by goal completions and exclude the homepage. Any thoughts on that or tips on that matter? Thanks a lot!